It’s been 2 years after surgery/PT and I have had ZERO issues… -Kelly C.
Great bedside manner and very in tune with patient’s feelings. Great Doctor! 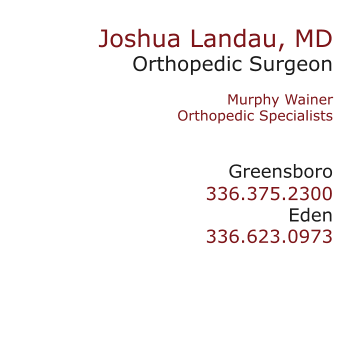 -Donald M.
Dr. Joshua Landau is an orthopedic surgeon at Murphy-Wainer Orthopedic Specialists in Greensboro, NC. He is fellowship trained in Sports Medicine and Arthroscopic Surgery, and specializes in: Arthroscopic Shoulder and Knee Surgery, Partial Knee Replacement, Total Hip, Knee and Shoulder Replacement. 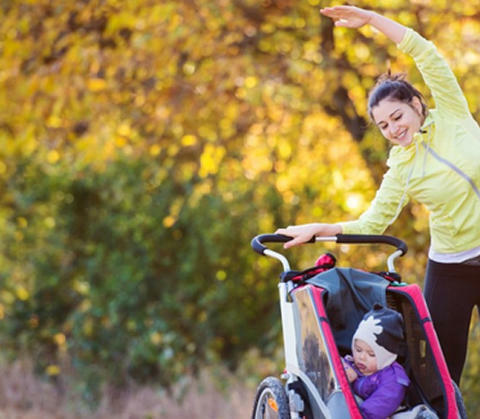 Dr. Landau has extensive experience in caring for top level athletes, having worked as an Orthopedic Surgeon with university and professional athletic teams in San Francisco, as well as San Diego before coming back home to North Carolina. 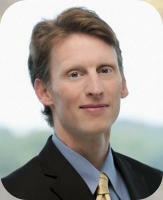 Expert in broken bones and musculoskelatal trauma surgery. 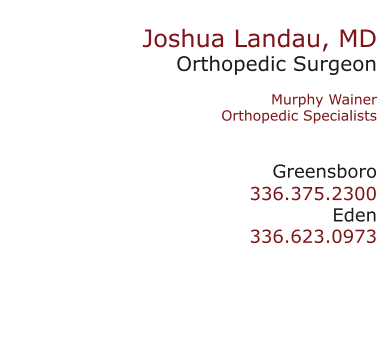 Specializing in total hip, total knee and total shoulder replacements. Including injuries to both knees and shoulders. Performing outpatient total joint replacements for qualified patients.